I just can't stop raving to all of my friends about how delicious and inexpensive blackberries have been at the grocery store lately. I have even begun to stock up so that I can freeze some to use later! I must confess, though, I have a love/hate relationship with blackberries, I love their flavor and the health benefits, but I always get seeds stuck in my teeth. I have found that smoothies are the perfect way to incorporate these lil' powerhouses into my diet without the impossible to remove seedy teeth scenario. 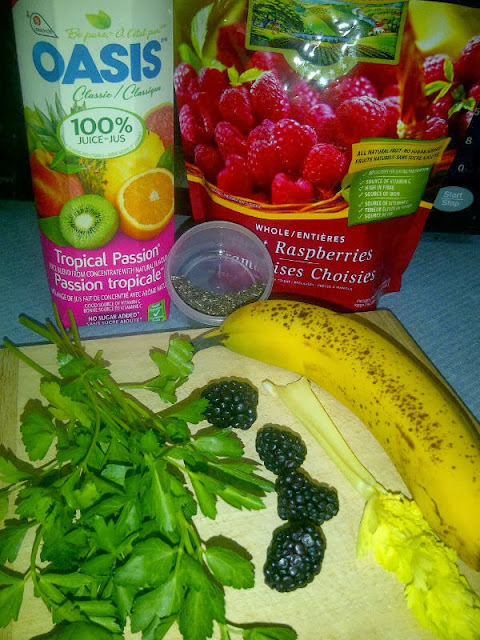 I thought I'd share with you one of my favorite smoothie concoctions. Usually, I just make it with frozen raspberries, but it works even better with blackberries! After shoveling snow for 2 hours today thanks to the gift from mother nature last night, I must say that this smoothie definitely hit the spot! For best results, soak some chia seeds overnight in some water or juice in your fridge. They will turn into chia gel, ready for you to make your smoothie with the next morning. 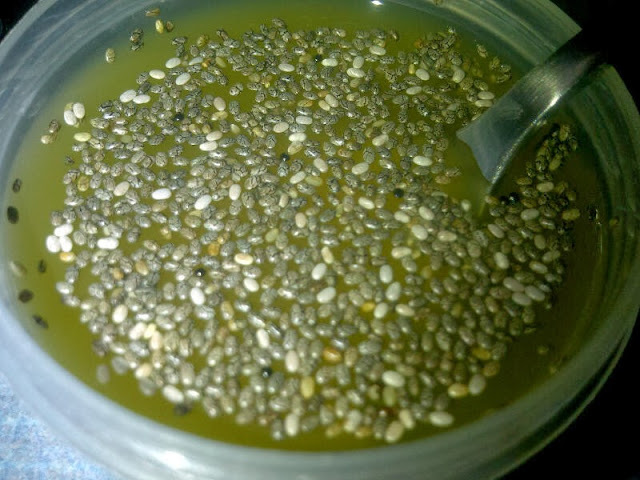 Or, if you don't have time to soak chia seeds, you can substitute this ingredient with milled flaxseed or hemp hearts. 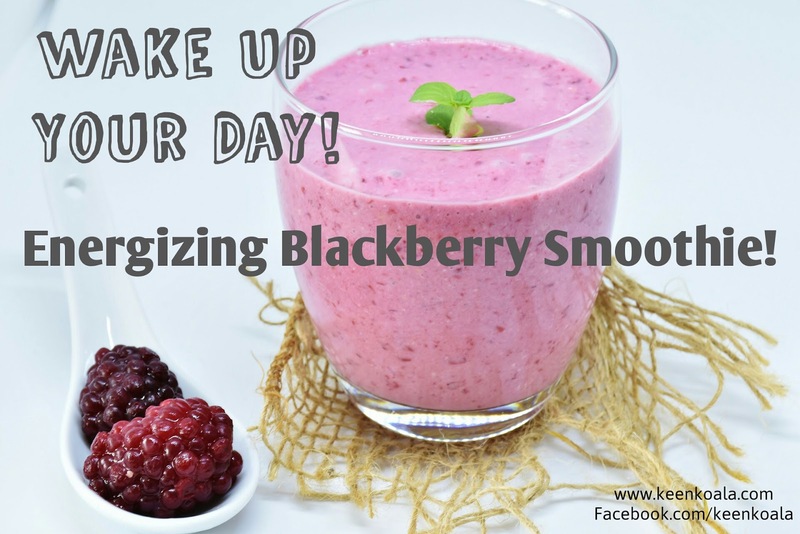 Place all ingredients in a high power blender and blend away until a smooth consistency is achieved. I like to use my Magic Bullet for this. Have you heard of the magic bullet? It's quite possibly the best personal blender out there in my opinion. It's small but mighty and makes a smooth and creamy smoothie that's just the perfect size! You can find one on Amazon HERE! I hope you enjoyed this recipe. 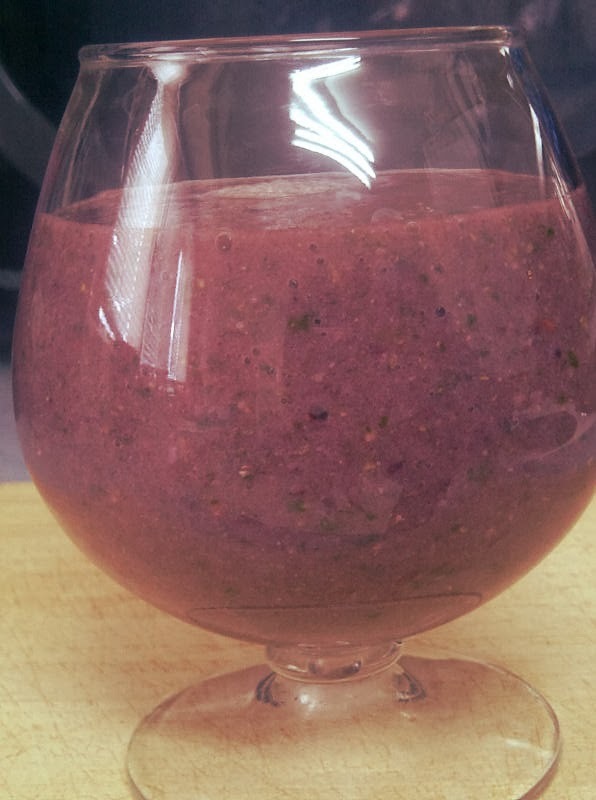 What's your favorite go-to smoothie recipe? Let me know in the comments, I would love to hear from you. For instant access to more great recipes, exclusive content, and contests, don't forget to like Keen Koala on Facebook, just click HERE!